Here’s a fun fact about Infinity: Nobody dies. Okay, not really. The Builders kill countless trillions of people across the universe and Thanos, as always, contributes a good amount of fatalities between himself and his minions. But no main character dies in the way that previous crossovers killed someone off for the sake of drama, like the Wasp in Secret Invasion or Thor in Fear Itself. You’ll notice that neither of those deaths lasted longer than a few years. I thought they were setting up Manifold to be sacrificed, and Black Bolt comes close, but not even Thanos dies. This is a sharp and much-needed rejection of traditional comic book crossover tropes. Last week, I called Infinity a space opera, and it does possess all the facets of that genre. There are shifting alliances throughout a vast expanse of outer space, putting big names like the Super-Skrull, Ronan the Accuser, and Annihilus into alliances with the Avengers. There’s a devious villain waiting in the wings and manipulating events to his favor. There are valiant heroes in desperate space battles against astounding odds. Black Bolt and Maximus the Mad’s crazy plan to take down Thanos is about as safe as shooting proton torpedoes down a thermal exhaust port. Even the parts set on Earth have a feel of “rebels taking on an encroaching empire." By having two main plot lines, Jonathan Hickman has enough room to put everyone he wants to -- or has to -- into the story without struggling to explain why they’re present. Wolverine and Spider-Man, for instance, don’t join in the space mission. We readers know that this is because it would wreak havoc with their various appearances in about a dozen titles apiece (to say nothing of the ongoing Superior Spider-Man plot line). But at the same time, since the overstuffed Avengers roster for the space mission contains Thor, Hyperion, Smasher, and the “New Universe” additions from The Last White Event, Wolverine and Spidey aren’t needed. Another heavy-hitter who gets a lot of attention in Infinity is Captain Marvel, part of a continuing effort to turn Carol Danvers into one of Marvel’s premiere characters. She’s effectively Captain America’s second-in-command throughout the entire space mission despite having lost much of her memory in the “Enemy Within” crossover. While a lot of her side of the story is told in other crossover issues, we do get to see her manifest her ultra-powerful “Binary” form, often a sign of trouble for her. Along with a starring role in the Endless Warfare graphic novel and the launch of the Ms. Marvel title, the countdown is on until Carol hits the big screen. There’s one major downside to the separate plot lines: it feels like Hickman has been forced to put in the Thanos material by the editors. This is the most apparent in New Avengers, which had been leading up to the arrival of a major threat ... and as it turns out, Thanos wasn’t it. Neither were the Builders. It doesn’t surprise me that the Illuminati’s story is just beginning, and there are portions of Marvel’s cosmology untapped by their story in general or Infinity in particular. The Celestials are notably left out of all of these events involving the origins of the Marvel universe; this wasn’t done out of ignorance, since Hickman used the Celestials as a key element of his Fantastic Four and FF runs. Some readers might not like Thanos’ motivations in Infinity, partly because they spin out of the controversial Thanos Rising and partly because they seem out of character for him. He’s been travelling the universe in an attempt to get rid of all of his children under the guise of having civilizations present a “tribute” of their dead young to him. I’m not complaining about how sadistic this feels, but about the notion of Thanos having enough children to warrant the literal decimation of populations just to get rid of them anonymously. On the other hand, if Nebula is actually his granddaughter, she had to come from somewhere. The end result of this scheme turns the kindly Inhuman Thane into the next possible conqueror of the galaxy, and I’m intrigued to see how this turns out. One of Infinity’s greatest strengths is its re-readability. There are some crossovers where, after I’m done reading, I’m glad it’s over and I never have to think about going back to check for details. Because Infinity uses well-structured character beats to carry many of its plotlines, it’s a joy to re-read, especially since you’re getting three narratives in one. By just reading the main mini-series, you get an epic which carries the broad strokes of what’s going on. The Avengers issues provide a lot of context to the epic portions and carry their own subplots, such as the growing romance between Smasher and Cannonball. Then New Avengers rearranges everything you think you know about both the plot and the characters and add further layers of menace to the proceedings. The book is an artistic triumph as well. Splitting the core Infinity issues between Dustin Weaver and Jerome Opeña might seem odd, but as Hickman’s collaborators on Avengers, having them both on board allows them to split the work without coming across as jarring. Leinil Francis Yu’s work on Avengers seems a little rushed -- not surprising considering the double-shipped nature of the book and the general pressure of doing a crossover. 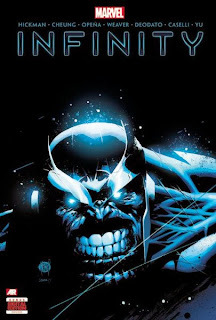 Jim Cheung draws the final issue of Infinity, and his style has elements of all three previous artists and New Avengers artist Mike Deodato, so it works well as a summation of what’s come before. The included Infinite comics don’t do much for the story other than explain why the Silver Surfer wasn’t more involved, but Rock He-Kim’s painted storyboard-style art is gorgeous. The Infinity hardcover essentially breaks down to $3.25 an issue. That might seem expensive at first, but many issues were more expensive and had more pages. It’s worth the money to get the complete story. Read this in singles as it was coming out. One of the best crossovers I think I've ever read, to be honest—and I've read a lot of 'em! Hello Doug Glassman. Great review. I can't wait to get this edition. I wanted to ask you about the content of the book. Does it not include the Avengers issues 12 and 13? If that is the case, does their omission really affect the understanding of the narrative? I have both Hickman Avengers hardcovers along with the first new Avengers one. So I'm just curious about this detail. At the Marvel Masterworks message board, an editor suggested there might be an Avengers by Jonathan Hickman vol. 1 OHC in the works, which would collect issues #1-13, leading right into the Infinity OHC. 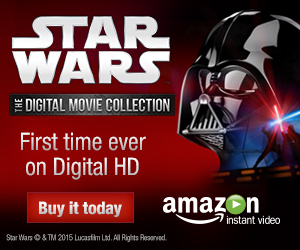 That way, a collector could opt for buying the OHC instead of the first three regular-sized premiere HCs. Yeah, as good as issues 12 and 13 are (I talked about them in the review for "Last White Event"), I can see why they weren't collected in the hardcover. They're not directly connected to "Infinity" and leave some large plot hooks dangling for when the title returns from its crossover issues. And I agree with Shagamu--they've done similar hardcovers for titles like "Daredevil" and "Deadpool" (and Valiant is doing the same with some of their books). Much obliged to all you. Very helpful and informative. I recently purchased this hardcover compilation, and it was worth every dollar! Quick question - why didn't they print the covers before each issue collected in this volume? Are the issues collected in reading order, series order, or...? Difficult to follow a checklist without the covers. This seems to be Hickman's choice, because I've seen people making the same complaint about his first Fantastic Four omnibus. He's an accomplished designer, so Marvel apparently lets him have a lot of input on collected editions of his work. And the chapters are all arranged in reading order, so you shouldn't worry about which issue each of them was originally published in, although you can tell each series apart by the artist. The Avengers chapters were drawn by Stefano Caselli (prelude) and Leinil Yu (tie-ins), The New Avengers chapters were drawn by Mike Deodato and the main Infinity mini was drawn by Jim Cheung, Jerome Opeña and Dustin Weaver. Yes, the contents are printed in reading order. So just begin on page one and work your way through! That'll work. Thanks again for the verification.